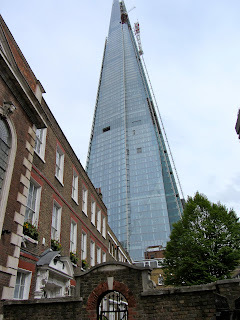 Being a South East London resident, I've watched with huge interest and intrigue over the past few years as The Shard has lovingly grown from a twinkle in the architect's eye, to the magnificent structure it is today. Erected in 3 short years, construction started in March 2009 and was completed in March 2012, which is pretty impressive. 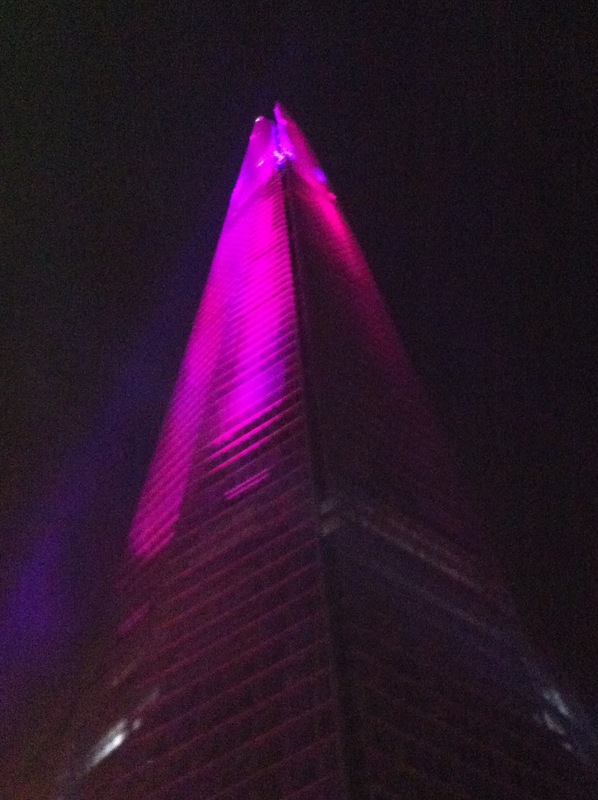 Dominating the London skyline, The Shard is a 72 storey glass skyscraper which was built on the site of the demolished London Bridge Tower. 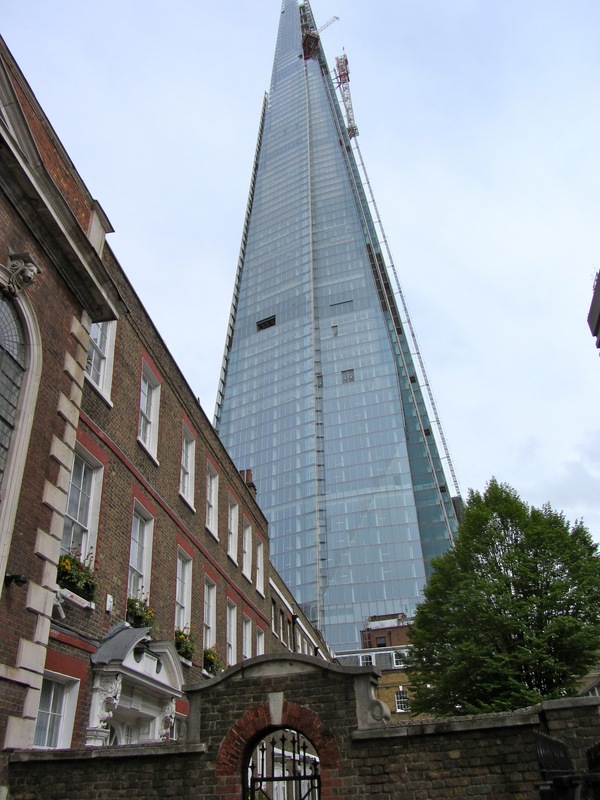 Designed by Master Architect, Renzo Piano (who also designed the Pompidou Centre in Paris), it is called The Shard due to its 'shard of glass' design and structure. It was inaugurated on 5th July 2012 when hundreds of people gathered to watch a lightshow as The Shard was illuminated in an array of colour and light beams. It was only opened to the public on 1st Feb 2013 so it's still very new, shiny and undiscovered. 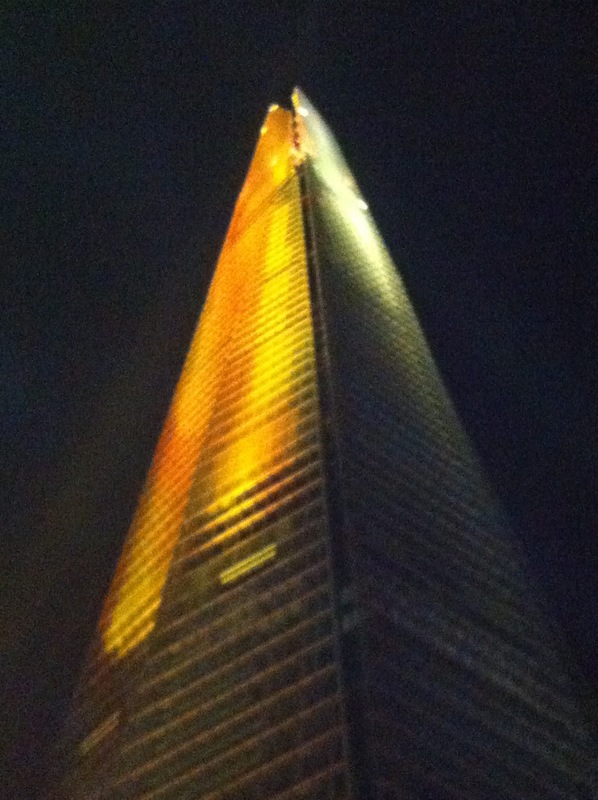 As a regular commuter from London Bridge station where The Shard is based, I've witnessed its creation as it has teasingly loomed ever higher by the day. Now complete, it is 1,016 feet (310m) tall which makes it the tallest building in Western Europe. Watching its gradual exterior construction from afar was one thing, but like everyone, I was longing for it to be finished so I could get a chance to experience the view from inside The Shard. Well that chance became a reality yesterday when I took my very pregnant bump for a special trip up to The View from The Shard. It was amazing! 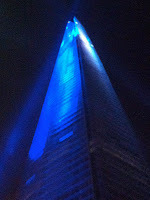 And luckily baby didn't come early (although giving birth to the first Shard baby would have been very memorable). The View is a highly efficient, luxurious, state of the art experience. The staff are super friendly, knowledgeable and helpful and definitely made the experience even more fantastic. Once you've purchased your ticket and gone through an airline-style security system, you take two high-speed 'kaleidescope' lifts - dazzling images surround you as you ascend to level 68 in a matter of seconds. Very speedy, and apart from a bit of ear-popping, you won't feel a thing. You then take one flight of steps to level 69 where you'll get your first glimpse of the breathtaking view. 'Wow' doesn't even begin to describe it! With an incredible 360 degree view of the cityscape, it really is quite fantastic looking out over 40 miles of stretching scenery. 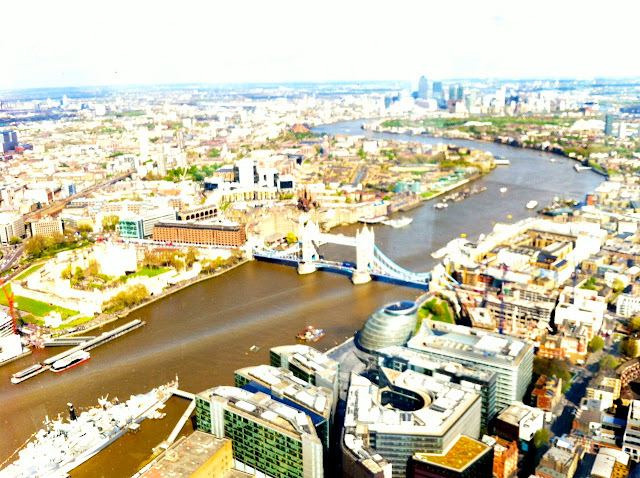 London and beyond in all its glory spread out before your very eyes. 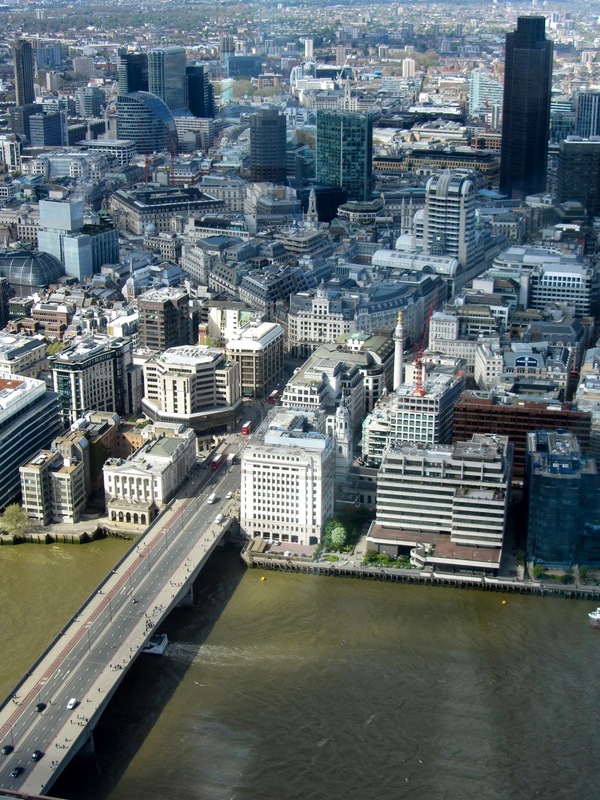 You can see absolutely everything from up here, including Wembley Stadium, Battersea Power Station, Borough Market, Crystal Palace, Canary Wharf, St Paul's Cathedral, BT Tower and Greenwich. With a beady eye (or even the help of one of the many telescopes on offer), you can probably see the ends of the earth on a good day. Then you ascend a final 3 floors to level 72 which is the highest level available. You're standing at a height of 800 feet (244m). Even though it's only 3 floors up, the feeling is quite different. For a start, this floor is exposed to the elements as you find yourself gazing up at the actual 'shards' of glass above your head which form the top of the building. It's a strange and wonderful perspective looking down on London from above. Ant-like people scurrying along the bridges and streets. The tiny trains pulling out of London Bridge station. Miniature boats chugging along the Thames. Everything looks so small and vulnerable. Up here you feel almost invincible. A strange sense of peace. Tickets are expensive, but this isn't any old London attraction. The View is definitely worth it as you're not rushed (there's no time limit to how long you spend up there) so you can enjoy the experience at your own leisure with no queuing or overcrowding. You can also buy gift certificates, so if you want to treat someone to something special, this is a great present. My advice would be to go later in the day so you can enjoy both day and night views. I went during the day which was brilliant, and I can only imagine how stunning watching the sunset from The View would be like. I'll have to return with my little one and witness a sunset sometime. Apart from The View, The Shard is also going to comprise smart offices, a shopping complex, lovely restaurants, luxury private apartments and a top notch 5* Shangri-La hotel, all due to open later this year. And here's a nice little story. During construction in 2011 a fox (later named Romeo) was found living up the Shard. The cheeky chap found his way all the way up to the top and spent several days up there living off construction workers' scraps. 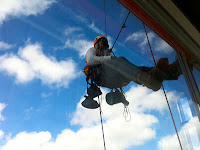 He was soon rescued and returned to ground level safety but has left his mark as a bit of a Shard mascot. Cuddly fox toys can even be found in The Shard gift shop in his honour! I love The Shard and think it's an absolute must for locals and visitors alike. Admire it from afar, then go and experience The View. You won't be disappointed. I reckon even vertigo-sufferers could be transformed, it's that good! And I'm very much looking forward to going for cocktails at the Shangri-La when it opens. Beautiful photos combined with an interesting story. I need to visit and take in the magnificent views.